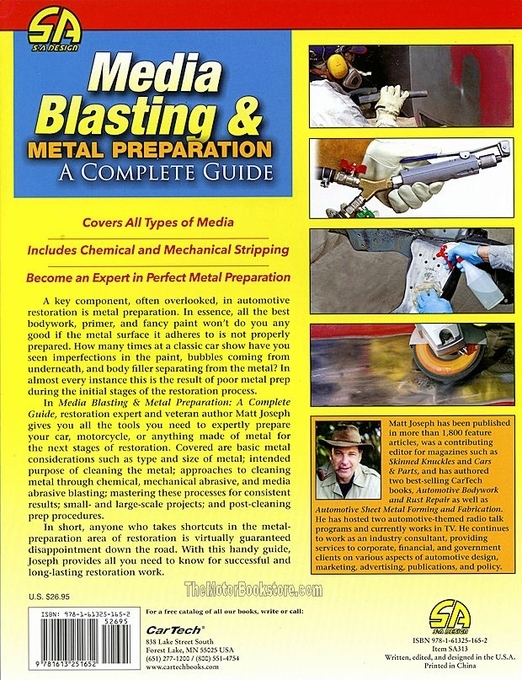 Media Blasting & Metal Preparation: A Complete Guide covers the basics for cleaning metal, including size and type, techniques for consistent results, post-cleaning prep and project scope. You�ll get the scoop on priming, painting and restoration. You�ll find a library of full color photographs alongside detailed text about why the size of a component is important to cleaning, why disc sanding is the choice for cleaning the hood, types of contamination and why you may never really get those scratches out regardless of how much buffing, sanding, blasting and polishing you do. There are details about choosing abrasives, electrolytic and chemical processes, budgeting, stripping and masking, and choosing industrial and commercial blasting equipment. Cleaning automotive metal is about far more than soapy water, a sponge and hosing it down. 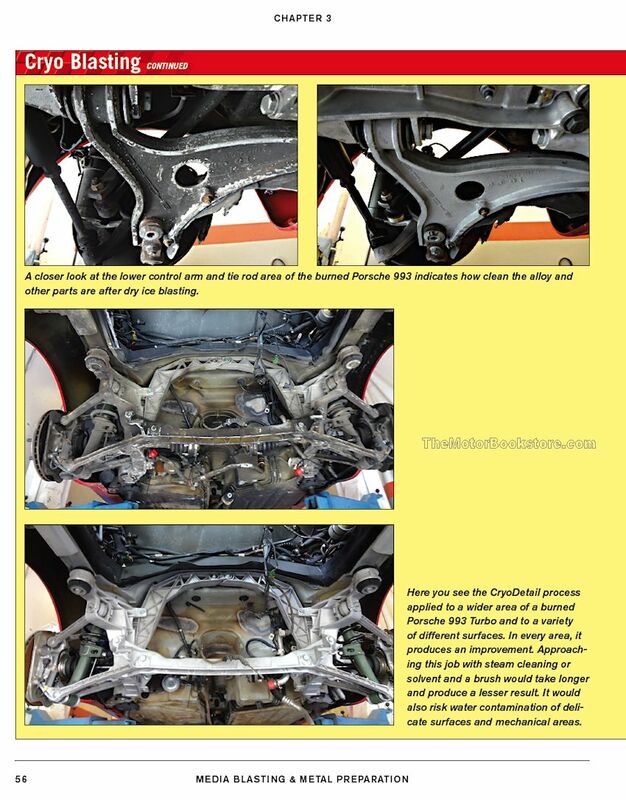 This book provides the information everyone needs to expertly prepare and execute the metal restoration of your car, motorcycle or other vehicle. The book approaches the subject with the thinking even the most seasoned professional may not properly prepare for metal work. It talks about the shortcuts that can appear to do the work but, upon closer inspection, leave slight imperfections in paint, separated body filler and bubbles beneath newly applied surfaces. 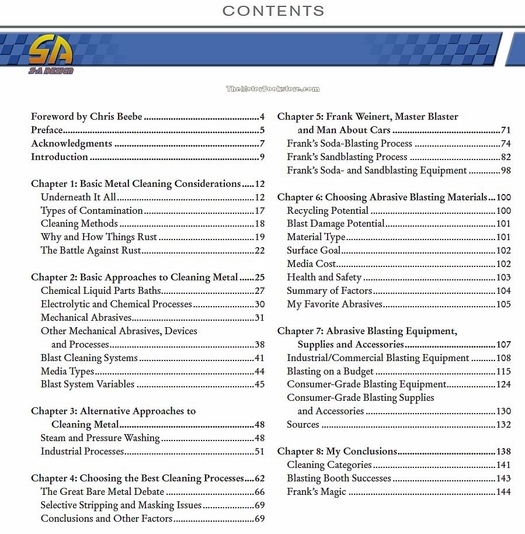 This cleaning automotive metal how-to guide understands that many aspects of the process cannot be controlled, but there are ways to use productions like painting, welding, soldering and brazing to ensure all the metal surfaces - from chassis to spark plugs - can have a high level of cleanliness that optimizes not just appearance but performance. What truly makes the book versatile is the techniques therein can be used on pretty much any project that involves cleaning of metal. 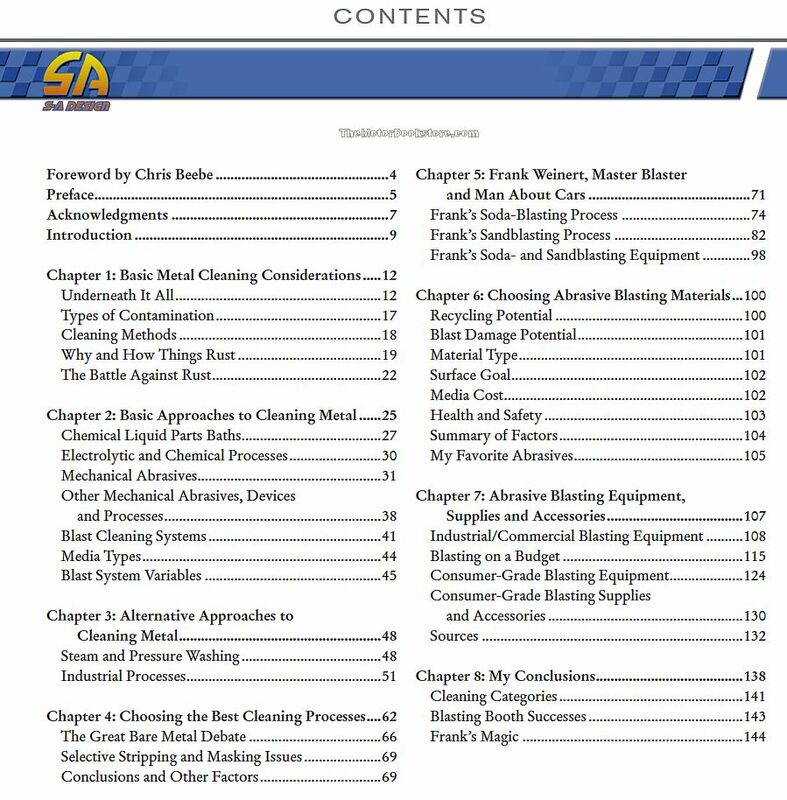 Media Blasting & Metal Preparation: A Complete Guide is 144 pages of detailed instructions and full color images that will concisely demonstrate how to avoid poor preparation for cleaning automotive metal, ensuring all your operations have long term impact. Born in New York City, Matt Joseph is the author of Automotive Bodywork & Rust Repair and Automotive Sheet Metal Forming & Fabrication. Media Blasting & Metal Preparation: A Complete Guide continues Joseph�s desire to teach the best ways to manage metal work. 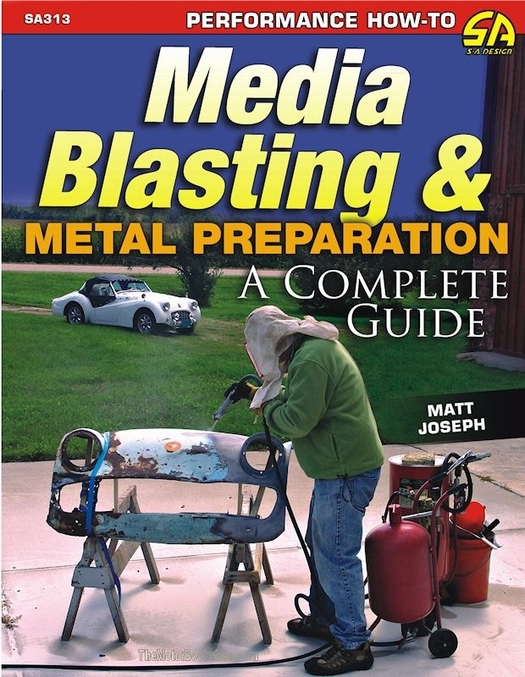 Below: Media Blasting & Metal Preparation by Matt Joseph Sample Page. Copyright CarTech Books. Above: Media Blasting & Metal Preparation: A Complete Guide by Matt Joseph - Table of Contents. Copyright CarTech Books. Ask a question about Media Blasting & Metal Preparation - How-To Guide.